That’s why I am so excited to share a wonderful resource that will open up a whole new world of creativity for you! Shirley’s best-selling book, The Gift Basket Design Book, will teach you everything you need to know to begin creating one-of-a-kind baskets from scratch! If you want to learn how to build beautiful gift baskets – for pleasure or for profit – I can’t think of a better resource than this book! As an artisan, Shirley’s passion for creative gift giving shines through on every page. As an instructor, Shirley’s technical expertise is evident in the clear instructions and numerous illustrations provided throughout. After reading this book, you will be privvy to the trade secrets Shirley learned during 21 years in the gift basket industry! What makes this book truly enjoyable is Shirley’s natural story-telling ability. Whether she is sharing customer stories or swapping creative ideas for gift giving, Shirley throroughly engages her readers throughout. My favorite story was Shirley’s encounter with a client whose son surprised her with a Mother’s Day basket filled with $100 worth of lottery tickets designed as lollipops. When she opened the basket and saw the contents, she screamed so loudly, her neighbors called the police! When the police came and she showed them the reason for the disturbance – the gift basket – they were so impressed, they ordered similar baskets for their mothers! Update: This giveaway is now CLOSED. See The Gift Basket Design Book Winner for details. Now for the fun! Shirley has graciously offered to award one lucky Create With Joy follower an autographed copy of her book! Below are the instructions for entering this giveaway. Be sure to include your NAME and E-MAIL on EACH ENTRY so that I can easily contact you if you are the winner. REQUIRED ENTRY (1 Comment): Indicate whether you are a Current or New Google Friend Connect Follower, and let me know: Are you interested in making gift baskets for pleasure, for profit, or both? 1. Subscribe to the Create With Joy RSS Feed. 3. Add my New Create With Joy badge to your site. The badge is on my sidebar! Be sure to leave a link to your site for verification purposes! 4. Add Create With Joy to your Blog Roll. Be sure to leave a link to your site for verification purposes! 5. Blog about this giveaway! 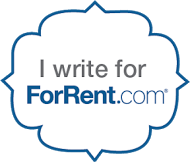 You can do this by writing a post on your blog OR by adding the giveaway to your sidebar with a link back to this review. Send me your blog link and details on what you did for verification! This contest is open until April 16th at Midnight PDST. I will choose the winner using a Random Number Generator. Once I have verified that the winner has complied with the contest requirements, I will contact them and announce the winner on the blog. I will then forward their name, e-mail address, and mailing address to Shirley George Frazier, who will mail and distribute the prize. I've made baskets lots of times, for profit and I'd love to learn more. I do follow. Thanks for this chance. lovely baskets! i'm your newest follower from fmbt. I am a new Google friend follower! Im interested in making baskets for profit and pleasure! thanks! I am your newest follower from the Get Wired Blg Hop. Hope you can stop by too at http://yankeeturnedtexan.blogspot.com Looking forward to reading more and I would be making gift baskets for fun. I love doing it, but never seem to get everything in the right spot, so the book would be a great addition to my collection! Hello, I do follow Create with Joy! I make baskets all the time, but would love to REALLY learn to make them! I would love to get this book for my sorority chapter. We do baskets for raffles to donate to various community organizations. Would love to gather some new ideas! Will follow posting rules, blog, etc. I'm a GFC follower. IDK if I'd make them for profit, but it'd be fun to know how to do well! I'd love to make money with the baskets but have NO extra time, so I would use it to make awesome presents for friends and family! p.s. I'd love it if you'd swing back by and enter my very FIRST giveaway for an Original Limited Edition Fine Art Giclee Print (value $119)! I'd be thrilled if you came by to follow-back. I'd be even happier if you entered my current giveaway for some fabulous products from Eco Ellie's! I have very low entries right now so you're likely to win if you enter! I am a current GFC follower. I am interested in making them for personal use. New GFC follower- mary J.
I like making gift baskets for pleasure. popped over from WOYWW, I'm a new follower. I love to give presents and bless people. Hi, I'm blog hopping and found yours! I love your blog! I'm now following. Would love for you to check out my blog and follow back! I could benifit from learning how to put together a gift basket. I also have a young friend who has such a flare for decorating and displays. I would pass this to her as she is in school to be an event planner, and will go far. This looks like a great book! I'd love to make gift baskets just for fun. Thank you for your lovely note and invitation to enter! i love gift baskets. I'm a new follower. I'd love to learn how to make baskets for pleasure to give as gifts. I am a happy follower and I would use this book for doing baskets for friends. I thought I was a follower but maybe when I had computer troubles maybe I was disconnected. I have fixed that now and AM a follower. I am a new follower with gfc. I love to make baskets as gifts. I'm new 🙂 I would make baskets to give away as presents. I'm not creative on my own, but I follow directions really well! I absolutely love the way these baskets look. Would love to know how to do them. Please include me if this Giveaway is available for CANADA, thanks.